Biofouling or ‘biological fouling’ refers to the growth and accumulation of microorganisms, algae, plants, or animals on wetted surfaces. 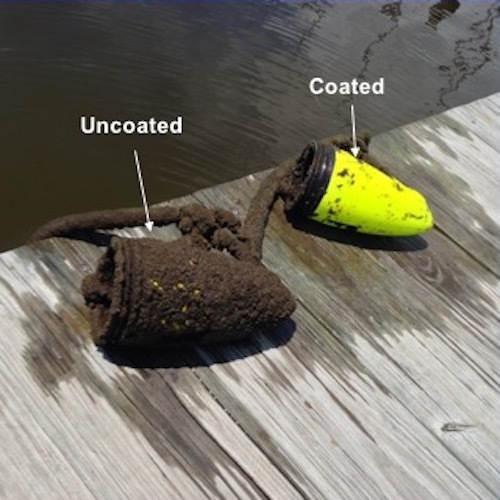 In both fresh and saltwater environments biofouling creates inefficiencies in speed & drag, increases costs for fuel & maintenance, and can lead to erosion or corrosion of exposed surfaces. For marine vessels, biofouling is a severe problem that can lead to hull integrity and propulsion system damage. 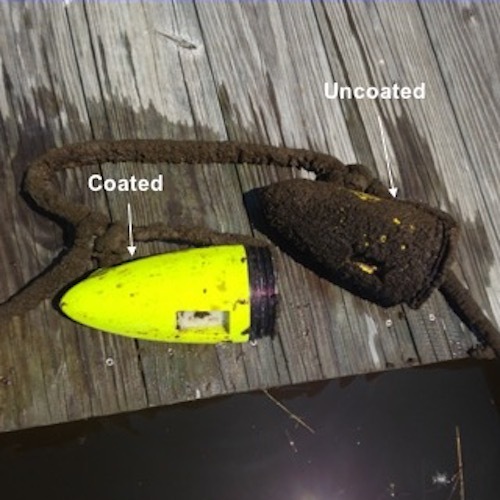 Allowing the accumulation of biofouling on hulls increases both the hydrodynamic volume of a vessel as well as the hydrodynamic friction between the vessel’s hull and the water. Increased drag from biofouling has been shown to decrease speeds by as much as 10%, but can lead to increased fuel consumption of as much as 40% to compensate for the lost speed. Increased fuel consumption due to biofouling also has adverse environmental effects; it is predicted to increase emissions of carbon dioxide and sulfur dioxide between 38%-72% by 2020. For the shipping industry where fuel costs can comprise as much as 50% of marine transport costs, biofouling is a particularly damaging issue. 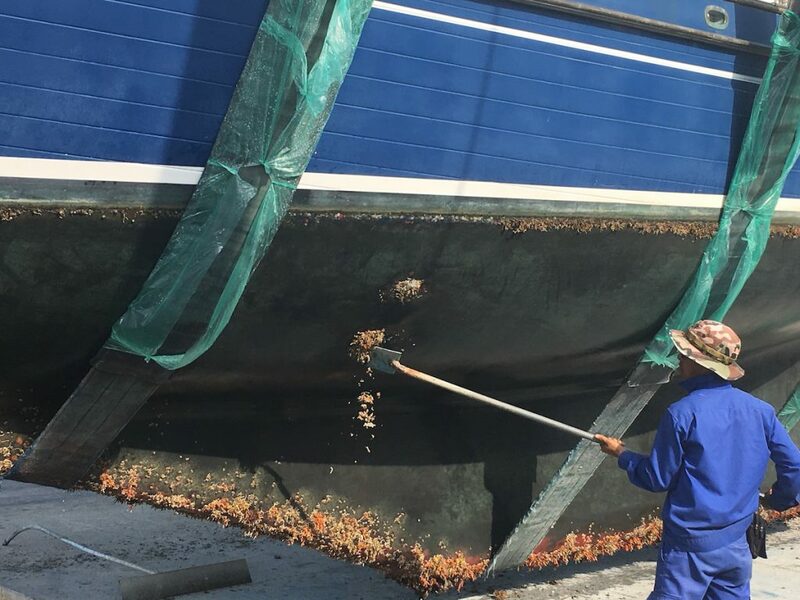 Traditional anti-fouling methods focus on two practices: killing the fouling-causing organisms or repelling them. Biocides are chemical treatments which deter biological growth by killing the microorganisms responsible for biofouling. Typically, the microorganisms create what is know as a ‘biofilm’ which then allows larger creatures to attach, such as barnacles. Biocides tend to target and kill microorganisms before they create this biofilm, but the toxicity of biocides make them non-environmentally friendly. Biocide toxins can harm many marine organisms like oysters and mollusks. Unlike biocides, repellants create a slick surface that prevents microorganisms from sticking. FoulX falls into this category. These coatings or paints rely on creating low-friction and low surface energy hulls. However, many of these products are complicated, multi-formula, multi-coat processes which make them inconvenient to use. FoulX creates an ultra-slick surface which prevents organisms from gaining a foothold on the treated surface while maintaining simplicity: a single two-part polymer that is mixed and then applied – job done. FoulX has an extremely long pot life compared to other polymers, yet cures in ambient temperatures in under one hour. The simplicity and user-friendliness of FoulX places it in a class of its own.